Several years ago I decided that I had enough personal baggage getting in my way to merit going to therapy. It was a wonderful and challenging experience, therapy. I had some major epiphanies about where some of my “less functional” behaviors come from. One of these behaviors—being over-critical of and micro-managing my kids—was one that I felt real motivation to change. Unfortunately, despite what felt like life-changing new awareness about my parenting behavior, I struggled to self-manage when they didn’t clear their breakfast dishes or borrowed my clothes without asking. Therapy is just one path that leads to epiphanies about ourselves in our lives, and if we are present and aware we see these moments as real gifts. Unfortunately, those gifts often fade into the background of our lives once the sessions are over. Therein lies the hard truth about self-awareness and self-management: building new self-awareness (even rock-your-world self-awareness) does not in itself change our behavior. It takes deliberate focus and supported skill building, informed by self-awareness, to shift ingrained, routinized, emotionally-laden behaviors. This is the work of self-management: building the intellectual, emotional, and behavioral muscles to modulate our thoughts, emotions, and reactions to the triggers that lead to ingrained behaviors. This change doesn’t happen overnight after our big epiphanies. To truly change our behavior we must self-manage in our trigger moments, over and over and over, until we replace old, ingrained habits with new, ingrained habits. Self-management is a long-distance race. And the race is winnable! My coaching colleague Michele Nevarez wisely says that, “we arrive at where we aim.” Before we can effectively go after our self-limiting behaviors, we have to understand where it is we are actually aiming, or what we are really trying to self-manage. This is because emotional self-management is more about managing what causes our behaviors than the behaviors themselves. Doing self-awareness work means uncovering the triggers, emotions, and self-limiting thoughts that lead to our behaviors. Our target is to self manage at the point of trigger; before the behavior itself. We want to head off our emotional chain reaction that leads to the behavior. Some of us who are naturally self-reflective can do this work independently if we ask the right questions. Most of us will need the help of a thoughtful friend, coach, or therapist to bring these triggers, emotions, and thoughts to the surface. Once we know what our trigger is, we can plan for it. If I know that my adolescent son will yell at his sister every time she is remotely critical of his outfit, I can plan for how I react. I can plan my response, verbatim. I can plan a logical and fair series of interventions if they escalate. I can even plan to leave the room and put on my headphones. If I can be aware enough in the moment and remember to follow my plan, then that may sometimes be enough to shift a pattern of unproductive behavior. Why do I care about this behavior or situation? What do I believe about what is right and true about this? Once we identify our deeply held belief that connects to our triggering context, we can articulate a phrase or a mantra that we can access in the moment—such as “my kids will build character and social skills if I let them work this out on their own.” It will help us to practice accessing our beliefs with a partner in a simulated moment of trigger to build this muscle. 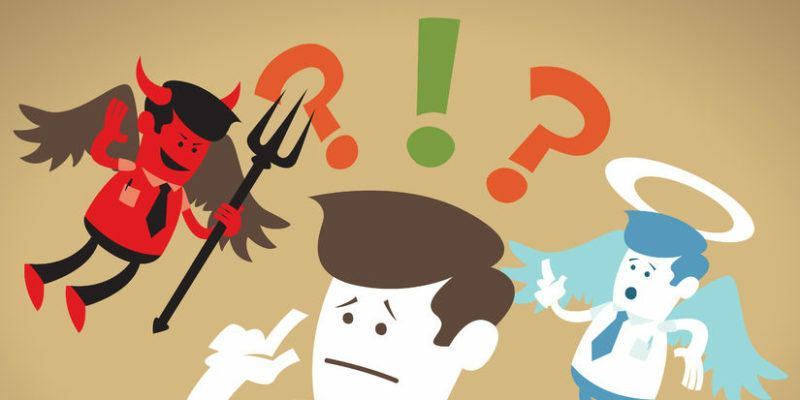 Remember the cartoons of our youth, in which a devil and an angel would appear on a character’s shoulder at a key decision-making moment? With our ingrained habits, we have an oversized devil and undersized angel on our shoulders. Cultivating our inner coach is essentially building up that angel. What can this coach say to you at your moment of trigger to remind you how you plan to manage your emotions and story? How can that coach help you remember why you care about this behavior, and what you aspire to become? If you can answer these questions in meaningful ways to yourself, and practice, then your angel/coach will likely be there for you in that split second of need. Again, changing ingrained emotional reactions, stories, and behaviors is a long-distance race. We have to practice over and over to rewire our brains, literally growing new neural highways and building new behavioral muscles. If we do not build structures and supports around this practice, we will likely lose focus amidst the other urgent day-to-day demands of our work and our lives. Coaches are great supports because we not only keep your eye on the ball, but help you to continue to build new awareness and self-management strategies over time. Peer coaches or “change partners” can be effective if you both truly commit to a long-term relationship and stick to an effective system of reflection, revision, recommitment, and practice. Those of us who are particularly reflective and disciplined can even do this work on our own, but even this group will need some external structures (like scheduled, sacred self-meetings) to make it happen. With the right skill-building, supports, and self-discipline, we can build new awareness and change deeply ingrained self-limiting behaviors over time. In other words, we can become more emotionally intelligent. I can think of no better reward for a long distance race. Our new series of primers focuses on the 12 Emotional and Social Intelligence Leadership Competencies, including Emotional Self-Awareness, Adaptability, Emotional Self-Control, Teamwork, and Inspirational Leadership. The primers are written by Daniel Goleman and Richard Boyatzis, co-creators of the Emotional and Social Intelligence Leadership Competency Model, along with a range of colleagues, thought-leaders, researchers, and leaders with expertise in the various competencies—including the author of this article, Matthew Taylor. See the full list of primers by topic, or get the complete collection! During my study of the relationship between mindfulness and leader effectiveness, 100% of the leaders I interviewed (all having months or years of prior mindfulness training and practice) linked mindfulness to improvement in their personal and professional lives. The majority described this as being significant, often using terms such as “profound,” or “life-changing.” My previous articles on EI draw from this research, exploring the way mindfulness influences each of the 12 Emotional Intelligence competencies, based on interviews with organizational leaders from around the world. Emotional Self-Awareness: A Primer – The first in our series of primers on the Emotional and Social Intelligence Leadership Competencies, with author voices including Daniel Goleman, Richard Boyatzis, Richard J. Davidson, and the author of this article, Matthew Lippincott. The complete collection is also available. 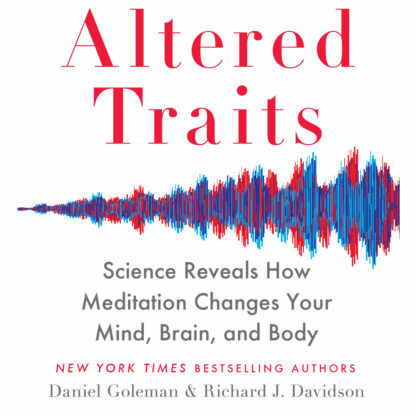 Altered Traits: Science Reveals How Meditation Changes Your Mind, Brain, and Body (audio) – New York Times-bestselling authors Daniel Goleman and Richard J. Davidson unveil new research showing how meditation affects the brain. 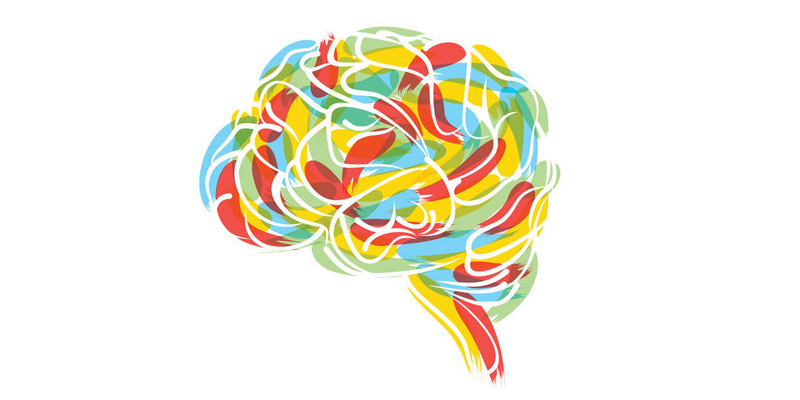 The Brain and Emotional Intelligence – Daniel Goleman illuminates the state of the art on the relationship between the brain and emotional intelligence, and highlights EI’s practical applications in leadership roles, education, and creativity. Our ability to focus is under siege now, more than at any time in recorded history. The level of distraction through technology and social communication is unprecedented – and not just for millennials. It is imperative for leaders to grasp the fundamental importance of directing focus where it needs to go. Focus paves the way for the development of Emotional Intelligence. Focus is a foundational skill for emotional and social intelligence. Without it we are distracted, directionless, and disconnected from the world around us. This has deep implications for leadership. Indeed, the ability to listen, and pay attention meaningfully is critical to nearly every metric that matters in the workplace. Cumulatively, in the U.S., we check our smartphones more than 9 billion times per day (Deloitte 2017). We reach for our phones, or look at our smart devices in meetings, while waiting in line and even in the middle of a conversation with a colleague. Much of this behavior is automatic. Everyone understands the pull of attention with the intermittent gratification of a text or tweet – and though we may not fully realize or admit it, we struggle with this at work, and at home. At times, it can feel hopeless, but it need not. We can grow the muscle of attention regulation with small daily practices. Developmental psychologists tell us that our ability to witness our own minds—our thoughts and feelings—resides in networks mainly located in the brain’s executive centers in the prefrontal cortex, just behind the forehead. 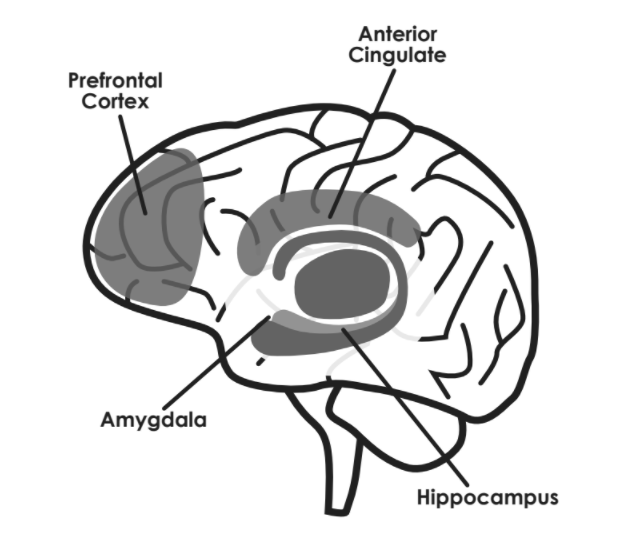 Strong, disruptive emotions, like anger or anxiety, flow from circuitry lower in the brain, the limbic system (the primary structures within the limbic system include the amygdala and hippocampus). The brain’s capacity for “just saying no” to these emotional impulses takes a leap in growth during ages five to seven and increases steadily from there (though it tends to lag a bit in the emotional centers during the teen years). The ability to be mindful of impulse—to stay focused and ignore distractions—can be enhanced by the right guidance, and by consistent practice. Mindfulness meditation practices are an excellent, always accessible, and free, method to strengthen our focus. One way to begin to hone your attention is with “micro-practices” of mindfulness, such as by taking a 3-minute breathing space. This short, yet powerful practice offers a quick way to bring our minds purposefully online and strengthen the attention muscle-sort of like doing a mental push up. Set your timer for 3 minutes if that helps. Mindfulness helps cultivate focus, which creates emotional ease and deeper relationships. Selective attention lets us focus on one target and ignore everything else. Open attention lets us take in information widely – in the world around us and the world within us – and pick up subtle cues we otherwise miss. Why is this important? It matters because being aware of ourselves, others, and the wider world goes offline when we are distracted. With the onslaught of stimulation from devices we need to learn to notice when we are distracted and intentionally remind ourselves to show up and focus. Here. Now. The full extent of the emotional and financial toll distraction is taking is still not fully understood, but we are seeing early signs that it is devastatingly high. In fact, this month, two big Apple investors came out publicly stating that iPhones and children are a toxic combination. They are asking the company to be more socially responsible by helping parents limit cell phone use with technology settings they can easily activate, to turn phones off, or limit use. The implication for leaders is clear. It is important to create a working environment that promotes the cultivation of focus. Leaders can actively support their employees by creating structures and processes within the workplace that encourage mindful use of devices and mindful listening. For example, having people agree to not look at cell phones during meetings, leading a brief breathing space meditation at the beginning of a huddle, or setting guidelines on work emails afterhours and on weekends. There is clearly great value for organizations who take the lead in helping their people cultivate these skills. Research found that among leaders with multiple strengths in Emotional Self-Awareness, 92% had teams with high energy and high performance. In sharp contrast, leaders low in Emotional Self-Awareness created negative climates 78% of the time. Great leaders create a positive emotional climate that encourages motivation and extra effort, and they’re the ones with good Emotional Self-Awareness. Deloitte. 2017. 2017 Global Mobile Consumer Survey: U.S. edition. Survey, Deloitte. Goleman, Daniel. 2013. Focus: The Hidden Driver of Excellence. NY: Harper. Goleman, Daniel, and Richard Davidson. 2017. Altered Traits: Science Reveals How Meditation Changes Your Mind, Brain, and Body. New York: Penguin: Avery. Goleman, Daniel, Richard Davidson , Vanessa Druskat, Richard Boyatzis, and George Kohlrieser. 2017. Emotional Self-Awareness: A Primer. Northampton: Key Step Media. Daniel Goleman’s CD Cultivating Focus: Techniques for Excellence offers a series of guided exercises to help listeners hone their concentration, stay calm and better manage emotions. 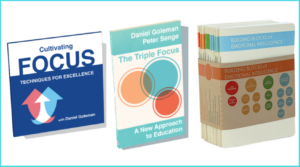 The Triple Focus: A New Approach to Education provides educators with a solid rationale for incorporating focus-related skill sets in the classroom to help students navigate a fast-paced world of increasing distraction, and to better understand the interconnections between people, ideas, and the planet. Our new series of primers focuses on the 12 Emotional and Social Intelligence Leadership Competencies, including Emotional Self-Awareness, Adaptability, Influence, Teamwork, and Inspirational Leadership. The primers are written by Daniel Goleman and Richard Boyatzis, co-creators of the Emotional and Social Intelligence Leadership Competency Model, along with a range of colleagues, thought-leaders, researchers, and leaders with expertise in the various competencies – including the author of this article, Ann Flanagan Petry. See the full list of primers by topic, or get the complete collection! The process of becoming an inspirational leader involves the development of multiple Emotional and Social Intelligence (ESI) competencies, each contributing to new realizations about how to lead more effectively. Emotional self-awareness and emotional self-control drive this transformation, particularly in the context of learning to apply ESI in real-time social interactions. That was revealed in part of my 2016 study on leadership, mindfulness, and emotional intelligence. The analysis included use of the ESI model developed by Daniel Goleman and Richard Boyatzis, and indicated that leaders linked strength in inspirational leadership to greater career success and satisfaction. 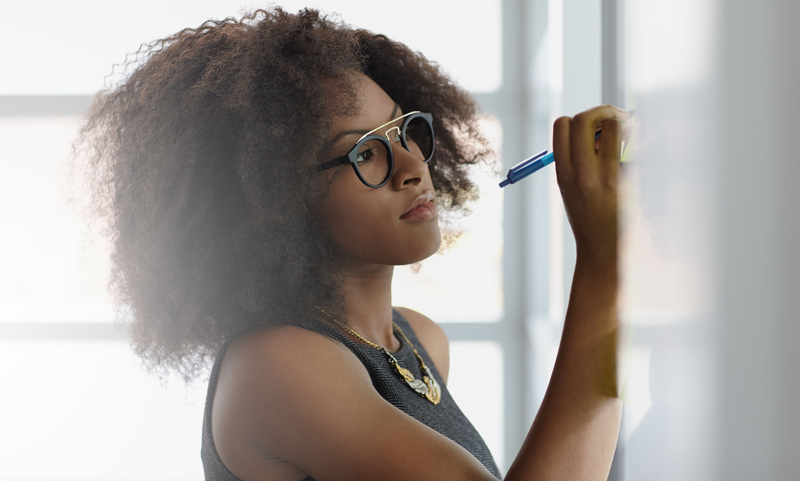 Inspirational leadership focuses on an individual’s interest in, and capacity to lead, regardless of their formal title or position within an organization. Strength in this competency is exemplified by the ability to unify others towards a common goal, which involves other competencies such as influence and organizational awareness. An inspirational leader will exhibit a sense of pride in his/her work, but also understand the importance of creating a sense of group ownership, and an engaging work environment. The ability to effectively present new or challenging ideas to a group is another attribute of inspirational leaders, as is the ability to lead during times of crisis. The leaders I interviewed for my research spoke extensively about how they motivated and inspired their teams. However, they also revealed that these capabilities arose from development of self-awareness. This process was described as being profound, and transformational in relation to participants’ understanding of what is required to be a truly effective leader. For example, the Head of Talent Development for one of the largest hospital networks in the U.S. linked inspirational leadership to a new understanding of the way feelings influence engagement, which he summarized as “we need to really access the way we treat people, the way we treat ourselves, the way we understand emotion in the work place.” In this instance, new realizations about the role played by emotion in workplace performance significantly influenced this participant’s beliefs, and behaviors relating to inspirational leadership strategies. The leaders I interviewed believed that their success depended upon their ability to effectively articulate team objectives, and actively support others in achieving them. They understood that success required them to demonstrate the behaviors needed to reach those goals on a daily basis as well. Fundamental to these realizations was an awareness that others can detect exaggerated statements, false confidence, and insincerity. 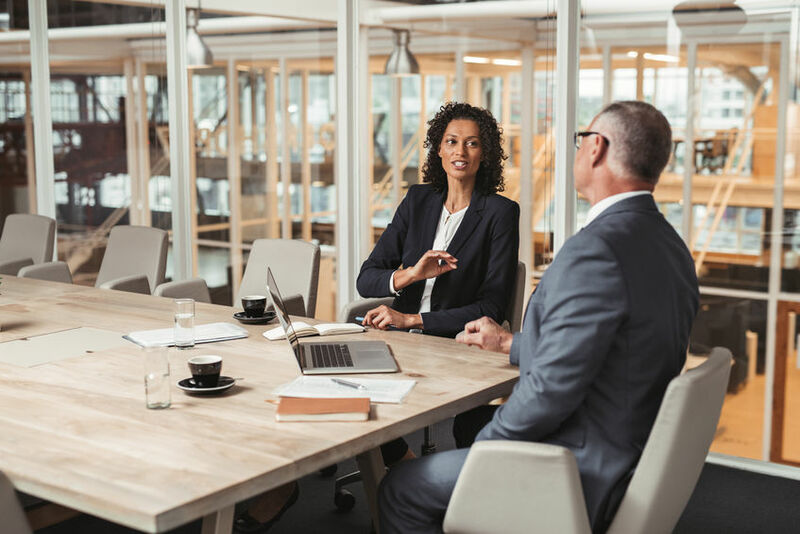 There are a number of steps you can take to develop the type of engaged and supportive workplace relationships associated with Inspirational Leadership. A good place to start is honestly assessing whether or not you are overloading yourself with tasks that could be delegated to others. This is an important step, since task-oriented workload takes away from time that can be invested in personal and team development. In addition to protecting you from burnout, properly managed delegation cultivates trust and respect between leaders and their staff as well. Part of this assessment should also include some reflection on why you may have unrealistic expectations for yourself concerning the amount and type of work you should be able to support. Leaders told me that involving subordinates in activities such as risk assessment and decision-making also had a positive impact on team loyalty. They reported that being open about their own feelings of fear and worry relating to these and other leadership activities helped their direct reports better understand, and relate to, the difficulties of being a leader. Overall, leaders indicated that their ability to inspire performance improved as they invested more time into cultivating personal connections with others through these types of activities. The primers are written by Daniel Goleman and Richard Boyatzis, co-creators of the Emotional and Social Intelligence Leadership Competency Model, along with a range of colleagues, thought-leaders, researchers, and leaders with expertise in the various competencies – including the author of this article, Matthew Taylor. See the full list of primers by topic, or get the complete collection! Carl sits in his office in front of his computer on Sunday night, deep in thought. Tomorrow he will introduce the strategic priority for the next year to his team, and he needs to inspire them. He has spent more time working on this presentation than most, revising for the most compelling language and the most striking visuals. He has practiced the presentation with his partner to improve his presence and capture just the right mood. He has and will put in many hours to prepare for this high stakes engagement. And yet, when he arrives in the conference room, Carl will not be able to shake a nagging worry: will this land with my team? Will it inspire them? If I were coaching Carl, our team inspiration work would have started weeks earlier, and it wouldn’t have happened in front of his computer. Leaders who find themselves at a point of change or transition need to engage their teams early in the planning process. Jentz and Murphy’s “Embracing Confusion,” while written for new leaders, can be an excellent resource for any leader in need of becoming more attuned to their teams in times of change or challenge.2 In this piece the authors urge leaders to “hit the ground learning.” Jentz and Murphy lay out a process for systematically engaging stakeholders as experts in their experience of a team and a problem, forcing leaders to adopt a learner mindset and encouraging them to roll up their sleeves and engage their teams one-on-one as thought partners. Jentz and Murphy’s process ends with leaders engaging their teams in “sense-making.” In these conversations leaders share what they have learned and challenge their teams to grapple together with the complex, messy issues connected to their biggest challenges. Inspiring leaders connect with their teams to “embrace confusion” and truly understand complex challenges before offering solutions. 1) Build Carl’s appreciation for the power of connecting through listening for the needs, hopes, dreams, aspirations and values of people. 2) Build his ability to get out of his leader persona and engage his team in healthy, unfiltered collaboration as part of a strategy-building process. As Carl listens for why his people care and engages them as partners in their collective challenge, he will be able to meet his team at a place of common belief and aspiration. Simultaneously he will be building trust—another pre-requisite to true inspiration. Where is your team right now, and where do they need to be to reach their potential? Leaders are able to answer these questions accurately by adding the data that comes from person-to-person engagement to the rest of their diagnostic data. As a result, socially aware leaders attuned to their team’s gaps are most likely to meet their team’s needs, while also reaching big picture objectives. What is more inspiring than hearing your leader accurately name and go after your needs? Flash forward now to Carl sitting at his desk after engaging deeply with his team. He no longer sits alone, attempting to pull his most inspiring ideas out of his head. He now sits with the hopes, dreams, fears, and shared problem-solving of his team. Their words surround him and inform his own hopes and dreams for the team’s new strategic priority. He is not worried about whether his people will be inspired by what he says, because he already knows that he will be speaking the same language when he stands in front of them. Because he is attuned, he will be able to meet the emotional needs of his team. In fact, that work—the work of inspiring—has mostly already been done. As he turns out the light he feels confident and calm knowing that the connection he has earned leading up to this moment is worth so much more than the very best words and sensational visuals. Our new series of primers focus on the 12 Emotional and Social Intelligence Leadership Competencies, including Emotional Self-Awareness, Adaptability, Influence, Teamwork, and Inspirational Leadership. Citation #2: Barry Jentz and Jerome T. Murphy. “Starting Confused: How Leaders Start When They Don’t Know Where to Start” (Phi Delta Kappan, Vol. 86, No. 10, June 2005, pps. 736-744). More effective teams result from a leader’s investment in their personal development of self-awareness, emotional self-management, social awareness, and relationship management. 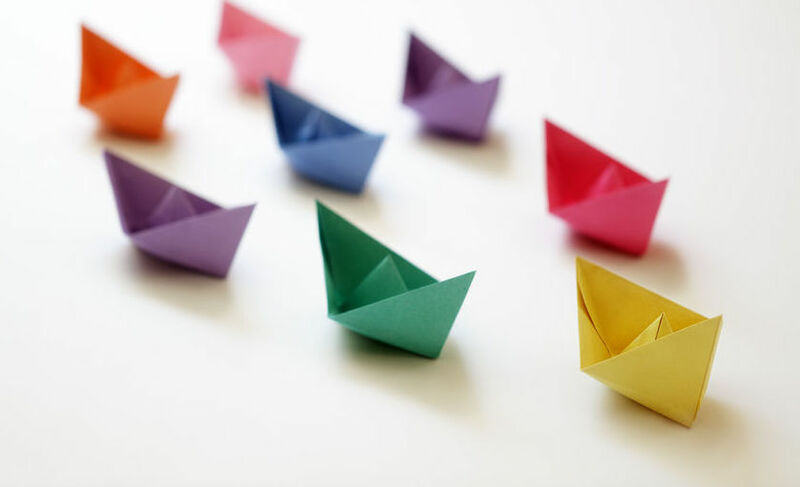 Study participants demonstrated a working understanding of multiple leadership theories, such as Situational, Transactional, and Transformational. Their leadership behaviors, however, tended to be more reflective of the relational leadership theory and dispersed leadership approaches. Specifically, they understood the importance of being able to meet the needs of the people and groups they worked with, and realized that the definition of a good teammate may not be the same for everyone. They also knew that they, and members of their teams, may need to adapt their behaviors in order to successfully align with the frequently changing goals of the organization. Making certain to not be perceived by others as paying lip service to concepts such as participation, respect, and fairness was highlighted by participants. A Department Head for a major US Hospital Network illustrated this point when describing the way he interacted with a newly promoted manager on his team: “I’ve decided to allow space for her and her team to design the new model, and giving everyone space to have their own thoughts and ideas.” His comments echoed what other leaders had to say about the relationship between team performance and the leader ensuring that each member feels valued and motivated to make continued contributions. It is also important to keep in mind that building trust with your teammates requires authentic and compassionate behavior on your part. This means being available to openly discuss their fears and concerns, and working with them to find ways to manage these issues. Making a sincere effort to help teammates manage stressful situations more effectively will also contribute to greater engagement, as will modelling the behaviors you expect of others in the workplace. 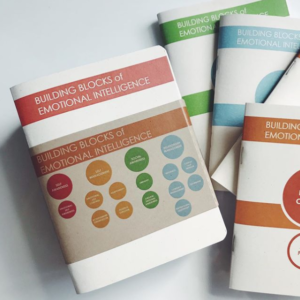 Our new series of primers focus on the 12 Emotional and Social Intelligence Leadership Competencies, including Emotional Self-Awareness, Adaptability, Influence, Teamwork, and others. The primers are written by Daniel Goleman and Richard Boyatzis, co-creators of the Emotional and Social Intelligence Leadership Competency Model, along with a range of colleagues, thought-leaders, researchers, and leaders with expertise in the various competencies. See the full list of primers by topic, or get the full collection! The more I have learned about the emotionally intelligent leadership competencies, the more I am struck by how little most other conflict management trainings and literature focus on self-awareness and self-management. Some models focus on social awareness, incorporating listening for other perspectives, but most focus almost exclusively on relationship management “moves” – i.e. how we interact productively with others in conflict. 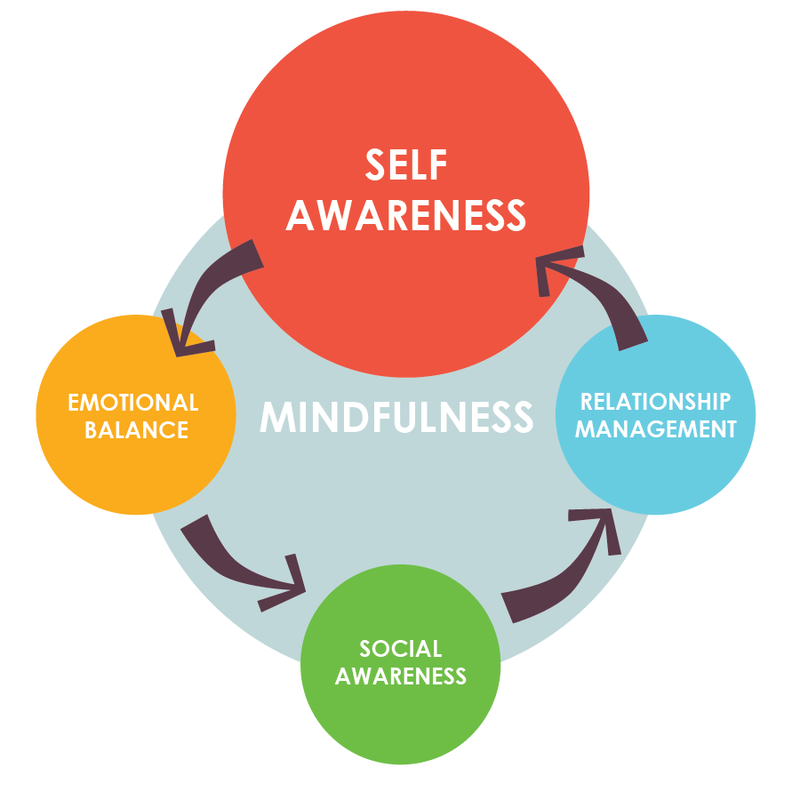 Before we focus on strategies to manage conflict, we must raise critical self-awareness and build self-management so that we are able to bring our best selves to any relationships in our lives – personal or professional. In my coaching of people in conflict, this rigorous self work begins with exploring the baggage and stories that might be getting in our own way. Then it moves to self-management, exploring how we can manage our baggage and stories so that we can effectively communicate with others in conflict. What baggage might be getting in your way? Tell me exactly when in this conflict you were first aware of having a strong negative emotion? Exactly what happened that triggered these emotions? When you were feeling these emotions, what thoughts were going through your head? And so what did you do? How do you think your actions served you, and how do you think they might have gotten in the way of resolving your conflict? If you had to name what you really wanted to happen—your real goal—what would you say? What stories might be getting in your way? When you were/are feeling the strong emotions you have named, what story are you telling yourself about the person/people on the other side of the conflict? What evidence do you have that supports your story? How does your story about this person or people serve you, and how does it get in your way of engaging effectively in this conflict? What other stories might be true about this person/people and their emotions, values and behaviors? How can you manage your baggage and stories? Getting to awareness about our baggage and stories tends to be pretty enlightening for most people in conflict because we are least likely to be aware when we are feeling wronged by others. Awareness alone, however, does not mean we are prepared to effectively engage with others in a conflict. We also need to deliberately manage our baggage and stories in the moment. How can you manage the emotional triggers that are getting in your way right now? What do you need to do for your true goal to be working through this conflict, and what can you do in the moment to hold onto this goal? Make a list of the real challenges this person is facing, and the emotions that feel related to this conflict. What can you genuinely empathize with? Without fail, after making this list people notice an immediate positive shift in their emotions connected to the other person/people with whom they are in conflict. I charge them with reading their list before their next engagement and noticing how it impacts how they show up differently to the interaction. People usually report that they are suddenly able to engage without the negative emotions they have been bringing up to this point, and they are able to listen with real curiosity to other people’s experiences and interpretations of the conflict. This, in turn, prevents escalation, and may even prevent future conflicts from coming up. When we add rigorous self work to our conflict management coaching, we make it exponentially more likely that our people will effectively access the relationship management strategies they learn in most programs and literature in the field. When we help people become aware of their emotions and the baggage and stories they trigger, they realize the extent to which they are working from assumptions without evidence. They become motivated to manage their baggage and revise their stories about others involved in their conflict. When you self manage effectively, two things happen. First, you show up able to listen with curiosity to other perspectives. Second, you show up reflecting other people’s noble stories back to them. When we reflect people’s noble stories—their best selves—to them, that’s typically how they will show up. If our goal is truly to resolve conflict, then shouldn’t we be inviting our best selves to the conversation? In Conflict Management: A Primer, Daniel Goleman, Richard Boyatzis, and colleagues introduce Emotional Intelligence and explore the many facets of approaching conflict management with skill and positivity. In a relatively short read, the authors illustrate how to frame conflict as an opportunity rather than a burden, how to maintain bonds despite differing perspectives, and how to blend mindfulness and thoughtful analysis into professional relationships that work. 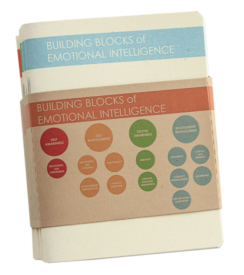 For more in-depth understanding of emotional and social intelligence in leadership, see the full primer collection or the Crucial Competence video series.